Each bee makes about 1/12 of a teaspoon of honey in its life. Honey is the sweet nectar of a bee’s lifetime work. It has been shown to have immunological and anticancer benefits. Now, let’s make some delicious chicken dish drizzled with honey. Sounds exciting, right? This healthy honey chicken recipe is easy to prepare. Give it a try. Coat a large foil-lined baking sheet with cooking spray. Combine the chicken and 1 tablespoon oil on prepared pan; toss to coat. Broil 13 minutes; turn chicken over, and broil 3 minutes. Meanwhile, mix honey, stock, ginger, garlic, soy sauce, vinegar, sambal, and remaining 1 tablespoon oil in a small frying pan over medium-high heat. Bring to a boil; cook for 13 minutes or until thick and reduced to about 2/3 cup, stirring frequently. Brush the chicken with 3 tablespoons of the honey mixture, and return to broiler; broil for 2 minutes or until lightly charred. 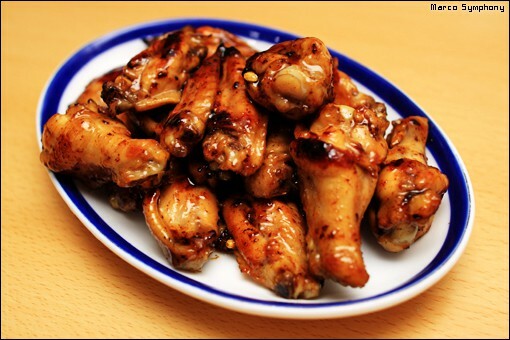 Place the chicken in a large bowl; drizzle with remaining honey mixture, and toss to coat. Sprinkle the chicken evenly with coriander and peanuts.